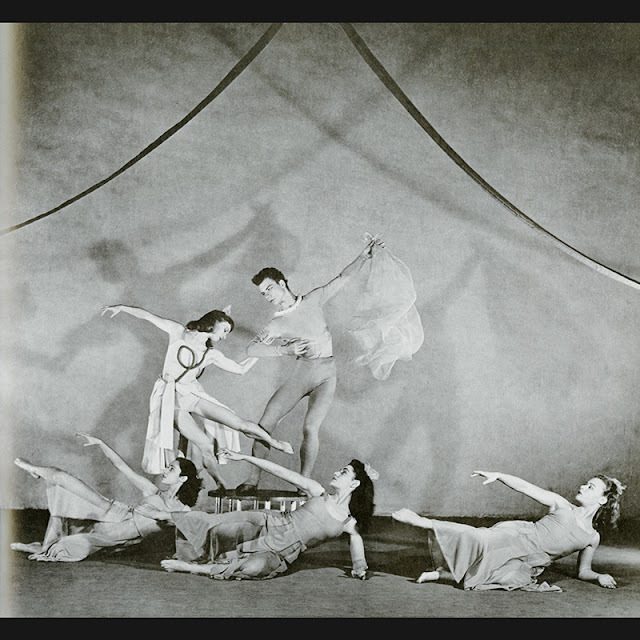 Merce Cunningham’s first appearance at BAM was in 1945 with the Martha Graham Dance Company. 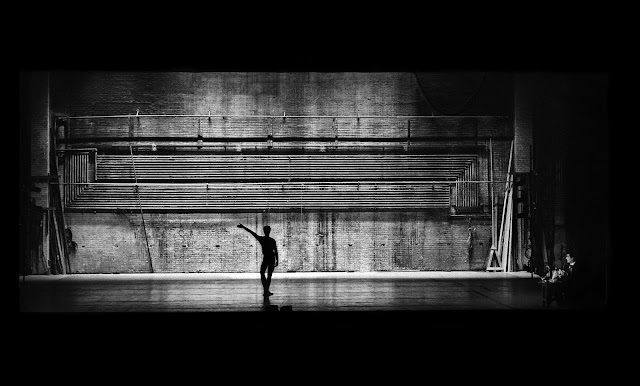 Though he was gaining popularity as a performer in her company, he would leave MGDC the following year—much to the disappointment of fans and critics—in order to focus on his own choreography and collaborations with John Cage. Merce Cunningham and John Cage’s first joint appearance at BAM was in a program called Theater for Dance. It was a shared evening with choreography by Cunningham, Jean Erdman, Erick Hawkins, and Donald McKayle. Cunningham’s contributions included the 1949 dance Two Step, as well as an excerpt from the evening-length Sixteen Dances for Soloist and Company of Three, which is the first dance Cunningham made using chance operations—the compositional method for creating work made famous by Cunningham and Cage. Merce gave early lecture/demonstrations at BAM about the burgeoning form of modern dance. 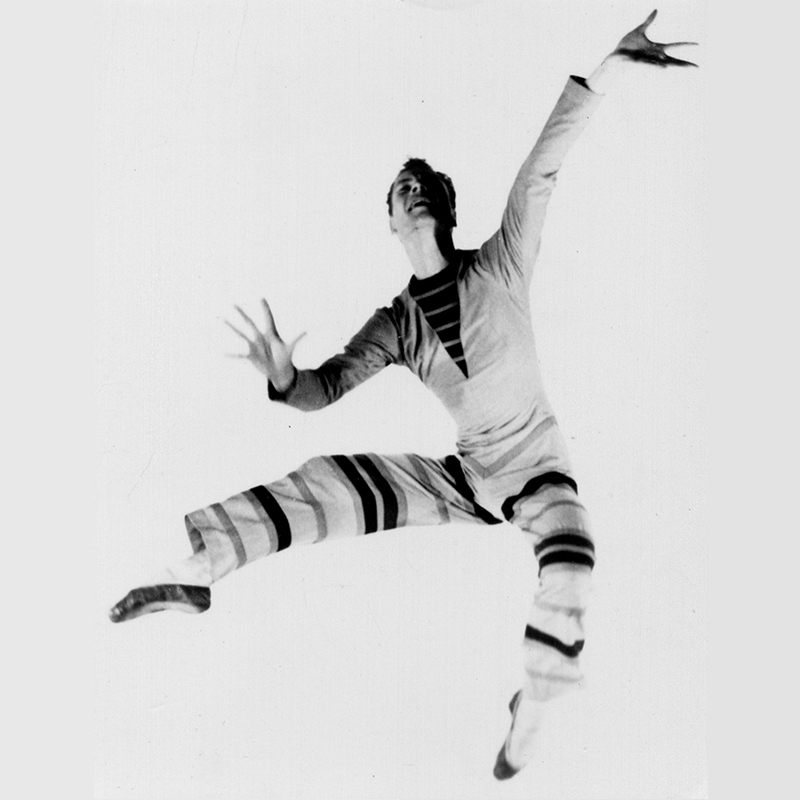 On April 15, 1953, just months before formally founding his company at Black Mountain College, Cunningham, along with five “specially chosen” dancers performed excerpts of his new work, Suite by Chance. On April 29, 1966: A private program was assembled for Russia’s Bolshoi Ballet called A Demonstration Program of Contemporary American Dance, intended to foster cross-cultural dialogue through the Iron Curtain. The choreographers selected to represent American modern dance were Merce Cunningham, James Waring, Anna Sokolow, and Paul Taylor. Many of the dancers would rise to prominence: Valda Setterfield and David Gordon (Waring), Dan Wagoner and Carolyn Adams (Taylor), and Martha Clarke and Jeff Duncan (Sokolow). The stage manager was 23-year-old Beverly Emmons, who became one of New York’s go-to lighting designers for dance, theater, and opera. In the 50s and 60s, the Cunningham Company performed frequently at BAM, sometimes twice in one year. Many of Cunningham’s seminal works were presented, often as world premieres. His penchant for working with notable collaborators emerged; the list included such names as John Cage, David Tudor, Robert Rauschenberg, Jasper Johns, Christian Wolff, La Monte Young, and Remy Charlip. 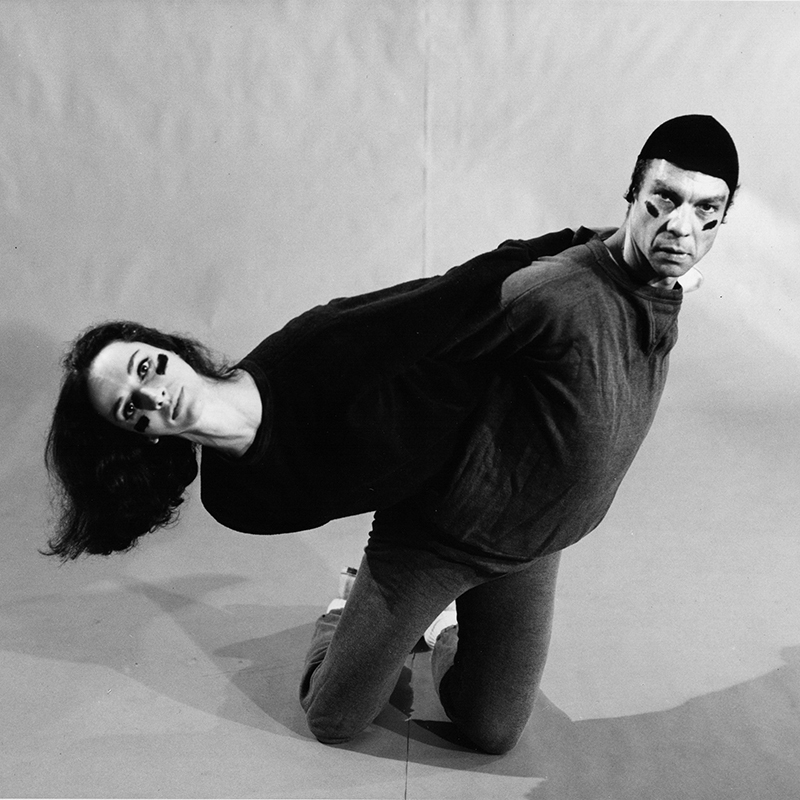 The first major New York season given by what was then called “Merce Cunningham and Dance Company” offered eight distinct programs, each of which presented a range of works spanning 15 years of Cunningham’s choreography. The season included the New York premiere of two pieces which came to be regarded as classics: RainForest, with décor by Andy Warhol, and Walkaround Time, with a set by Jasper Johns which was inspired by Marcel Duchamp’s The Large Glass. Also notable were the musical guests for the Opening Night Benefit party: an on-the-rise band called The Velvet Underground. 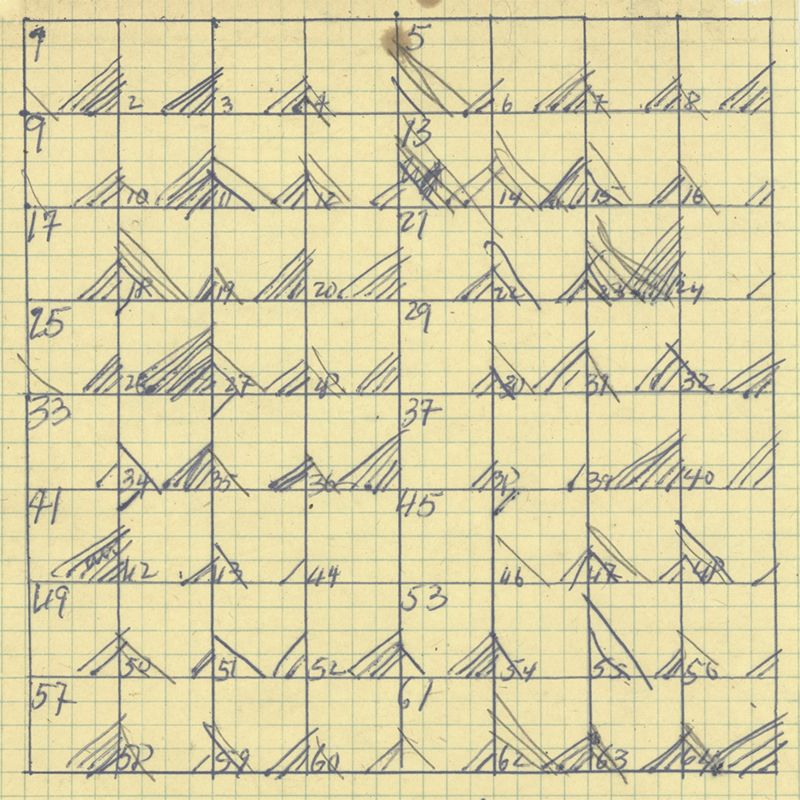 The other dances on display were Winterbranch, Second Hand, How to Pass, Kick, Fall and Run, Place, Variations V, Nocturnes, Field Dances, Untitled Solo, Tread, Scramble, and Collage III. The 1986 Next Wave Festival included the US premiere of Cunningham’s Roaratorio. The music by John Cage, entitled “Roaratorio: an Irish Circus on Finnegans Wake” included a collage of sounds from around the world, plus five Irish musicians performing live, and the reading of mesostic poems by Cage based on lines from James Joyce’s text. The non-stop action performed by the dancers ebbs and flows over the course of the hour-long work, and at moments evokes Irish jigs, reels, and folk dances. Inlets 2, one of Cunningham’s nature studies, was performed as a sort of companion piece. Returning as a legendary American choreographer, Cunningham’s company performed several large-scale works at BAM between 1997 and 2011. 1997 - The world premiere of Scenario, with design by Rei Kawakubo of Comme Des Garçons. 2003 - A celebration of MCDC’s 50th anniversary with the world premiere of “Split Sides” with music by Sonic Youth and Radiohead. 2009 - The world premiere of Nearly Ninety with music by John Paul Jones of Led Zeppelin, Takehisa Kosugi, and Sonic Youth, which opened on Cunningham’s 90th birthday to a full house of adoring fans. 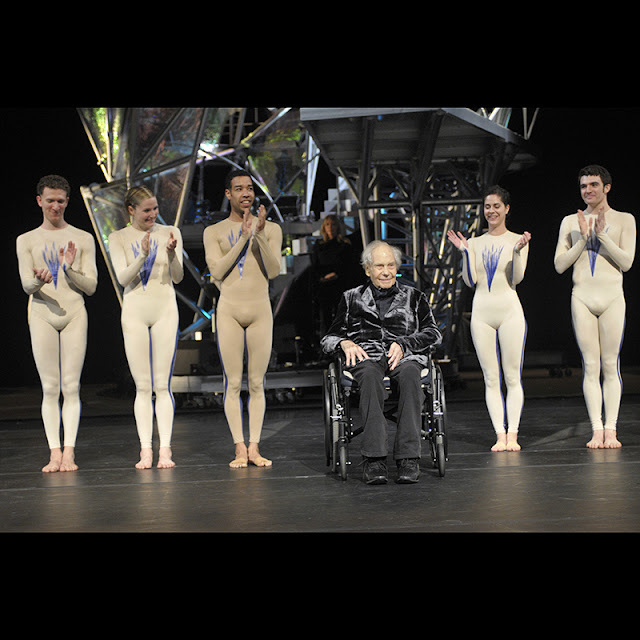 2011 - Two years after his death, the company’s final BAM season included some of Cunningham’s greatest hits: Roaratorio, Second Hand, BIPED, Pond Way, RainForest, and Split Sides. Night of 100 Solos: A Centennial Event comes to BAM Apr 16; catch the livestream of all three performances here.